When I start my abstracts I don't set the agenda - I let the image come as it does. I put line down indiscriminately, allowing the painting to take shape by itself. When I see what it is becoming I then nudge it along in that direction. 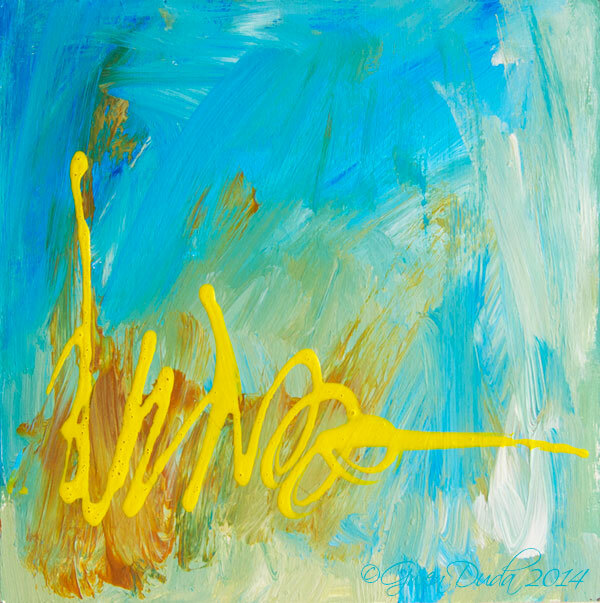 This piece was all high-flying energy, happy and optimistic, just like a summer's sunny day.